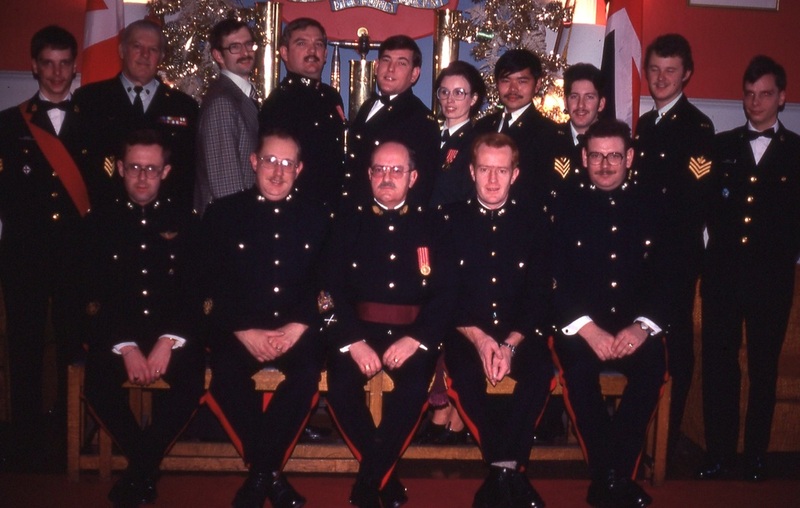 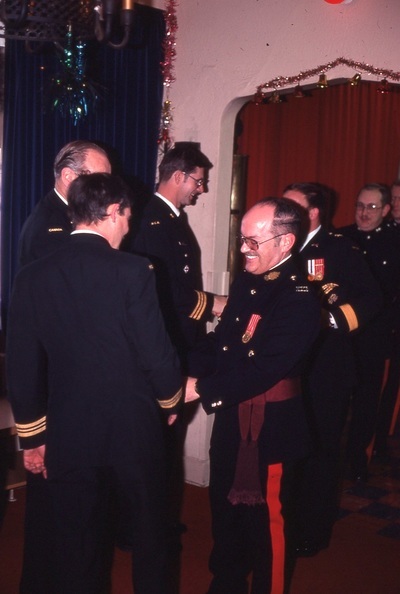 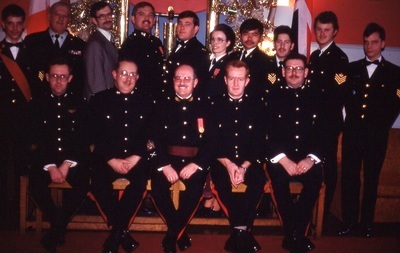 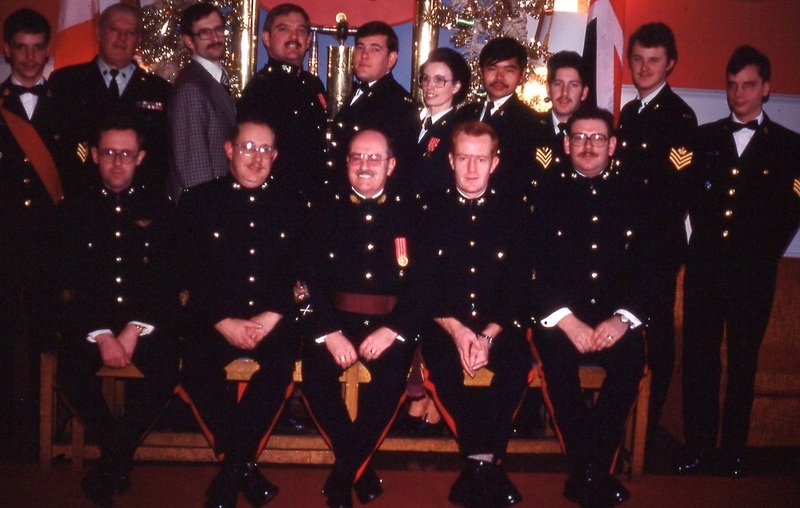 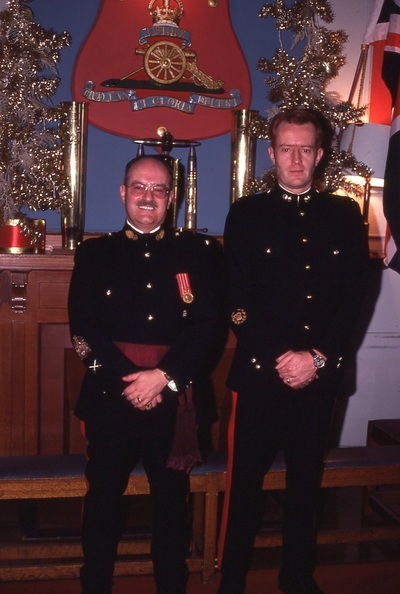 The Senior NCOs are hosted by the Officers' Mess and are greeted at the door by the Commanding Officer Lieutenant-Colonel Stuart MacDonald, Honorary Colonel Graham Blyth, Major Bob Mugford and the other officers. 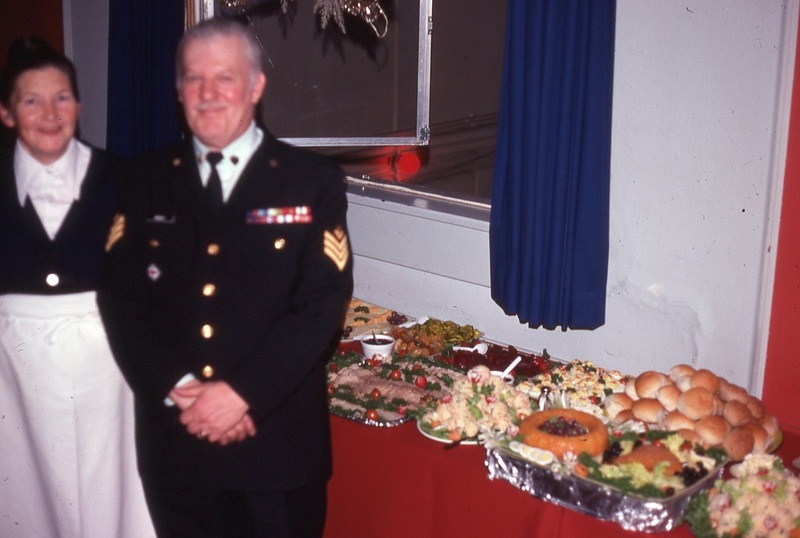 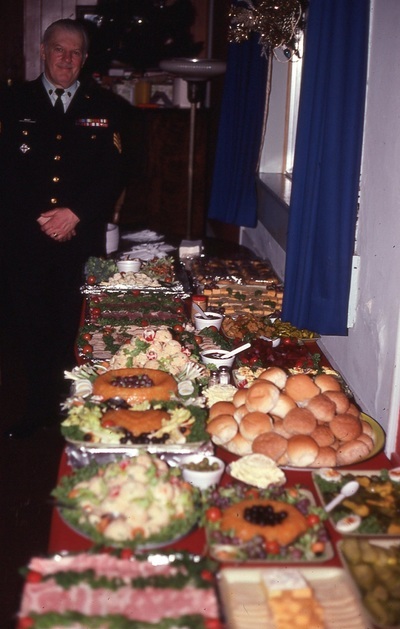 Sergeant Gordie Wright poses with the impressive spread that he prepared for the event. 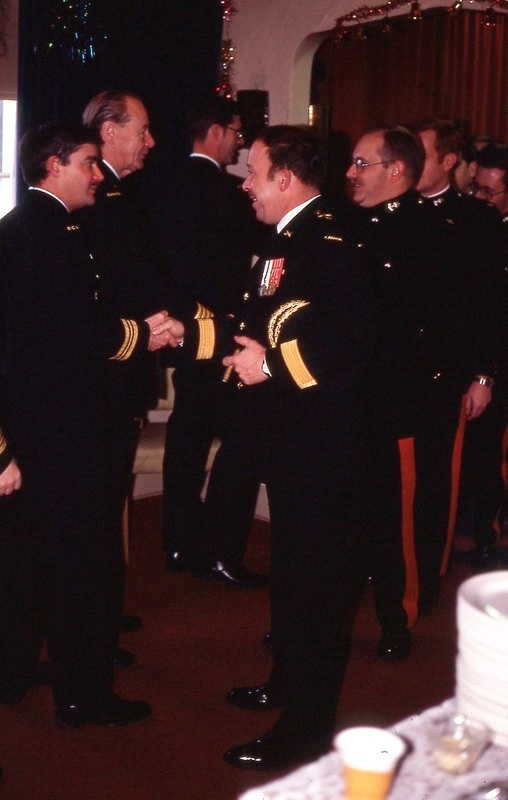 The District Sergeant Major, Chief Warrant Officer Eric Tyldeseley-Gore poses with the Regimental Sergeant Major Chief Warrant Officer Don Friedsam.